This means the chance to join a late-stage, well-funded and high-profile start-up where you’ll be part of creating, selling and marketing products and experiences that help millions of monthly users gain insights about hundreds of thousands of companies globally. Ours is a culture where you’re empowered to be amazing at work and life. We are built on transparent and authentic leadership teams who inspire, encourage and respect you. It’s a fast-paced environment with plenty of exciting opportunity for personal and professional growth. Join us to be part of a company where you can learn, thrive and make a difference. A decade in and we’re just getting warmed up. We believe in helping our employees grow and are making significant investments in training to help our people grow - in a variety of ways. Join us and discover daily opportunities to innovate and grow personally and professionally. You’ll work alongside smart, supportive team members who aim to win and respect one another along the way. Our culture is built upon transparency, a value we hold dear. We address and work through issues openly and fast. We celebrate our wins, love our work and care deeply about our clients and each other. When you get the chance to join a late-stage, well-funded and much-loved tech company, we hope you’ll take it. Walking through the doors at each Glassdoor location, the view may be different but the feeling is the same: pride. We’re go-getters who feel passionately about our mission and are pushing forward with full steam to seize it. Every department and office location has a buzz of energy as we excitedly help move the business forward and look for ways to improve, innovate and disrupt our industry. 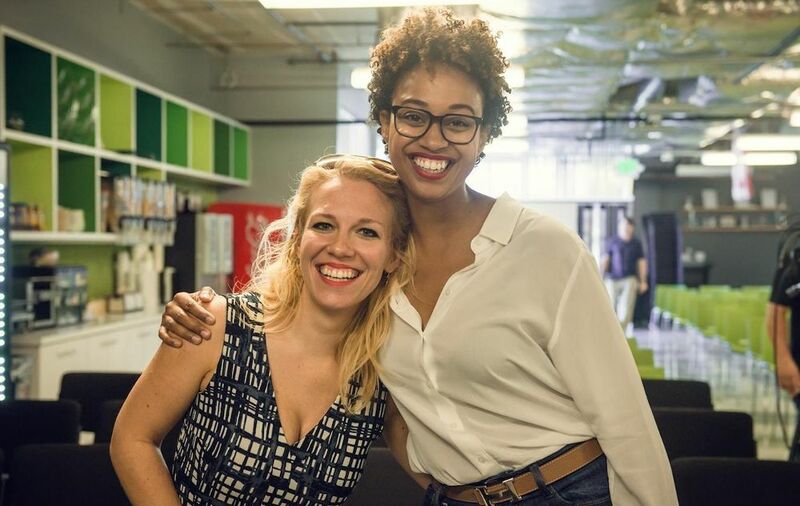 Working at Glassdoor means collaborating with incredible people, blazing trails, and continuously challenging yourself and others to lead from the front. We’re certainly not perfect, but we do our very best with a high level of integrity and continuously learn and adapt. We believe everyone has a voice and place high level importance on treating each other with mutual respect. We embrace emotional intelligence here, and that means hands-on training to develop the tools you need to connect with colleagues through relationship building and constructive dialogue. Our employees also receive three days a year just to volunteer, and while benefits like 100% paid health premiums enhance the experience, it’s the work we do and the people we work with that we like best. We’re hiring across all offices and departments. Check out our Jobs Tab above to find the perfect fit! Just beyond the Golden Gate Bridge, Glassdoor is headquartered in beautiful Mill Valley, California. We are perched right on the water with incredible views and walking trails at our front door. Our office is accessible through multiple transportation options, making it easy for employees to get to work from all corners of the Bay Area. Between the views, dog friendly office, on-site gym, free fitness classes, game room and other treats you’d expect at a Bay Area technology company, you’ll find some surprises too. While we provide catered lunch and healthy snacks, we also donate our lunch money occasionally to local schools and non-profits. But don’t just take our word for it, check out our Benefits and Reviews tabs to hear from those who know best— our own employees. Glassdoor’s Chicago office is currently home to about 200 people, primarily focused on sales-related functions — and located in the Fulton West building. The new office includes a range of high-tech features like best-in-class video conferencing, iPad room scheduling, acoustically-optimized phone booths, ergonomic workstations, the latest and greatest wifi, smart elevators featuring buttonless transport and even an IT vending machine where a simple swipe of your badge will grant you access to peripherals like dongles and chargers. Like at any quickly growing company, things can move fast. If you like the idea of getting in early and helping to build a lasting brand and company with other passionate people, we hope you’ll search “Chicago” under our Jobs tab and find the right role for you. The process took 2 weeks. 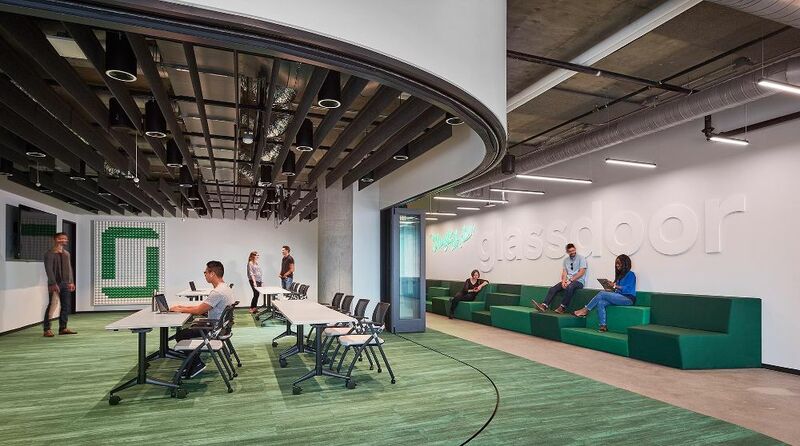 I interviewed at Glassdoor (Mill Valley, CA (US)). Rigorous process and positive experience. Recruiter screen, phone interview with case + behavioral questions, excel/PPT homework assignment, then an on-site with three cases and an additional behavioral experience. While the process was time intensive, in my experience, it was on par with the level of investment required for BizOps roles at other tech companies. I appreciated how the process enabled me to meet various people at different levels across the team, which helped me assess whether the team and role would be a good fit for me.